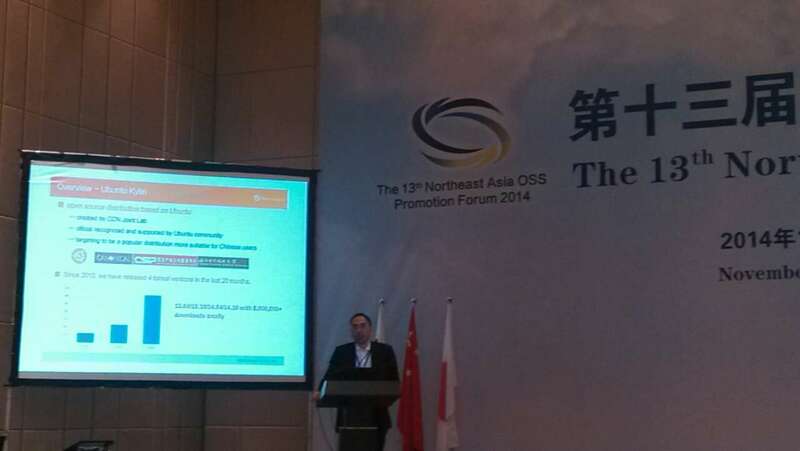 The 13th Northeast Asia OSS Promotio Forum was held in Wuhan Optical Valley from November 18 to 20, 2014. 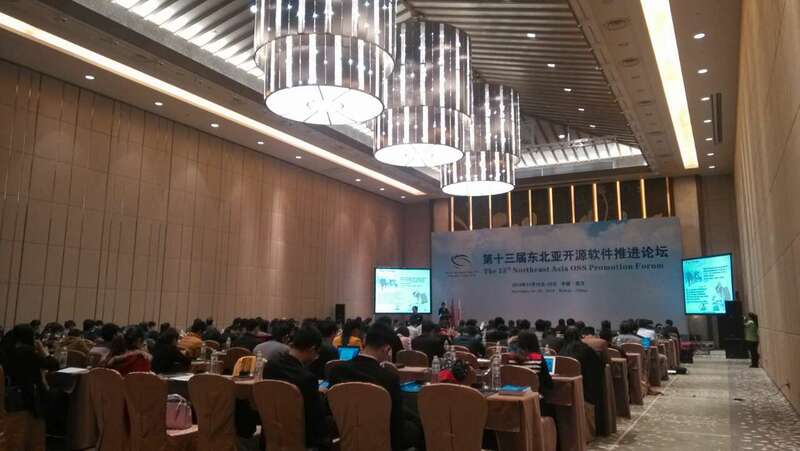 The IT competent departments in China, Japan and Korea and some open source developers gathered to promote the development of open-source software industry in those countries, to enhance the international status and influence of Northeast Asia in the open source community and industry and to explore the issue of cooperation and development of open source software industry in three countires with the object of “communication, exchange, cooperation and prospects ”. 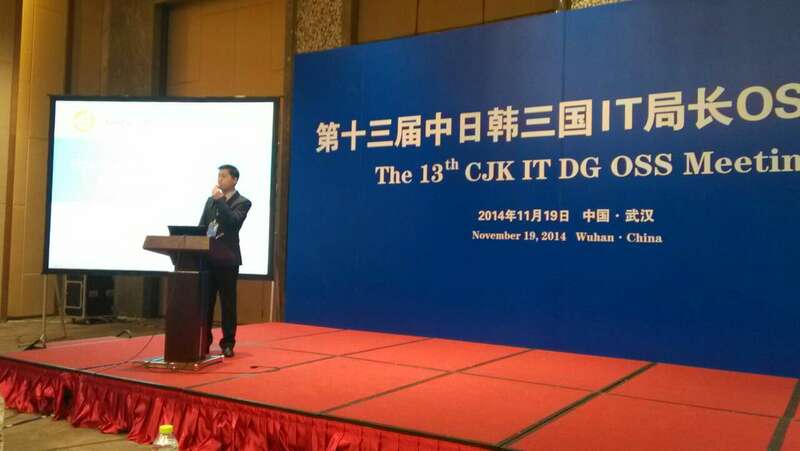 Wu Qingbo, a director invited from NUDT, had made a speech entitled "Practices to Build a Wonderful OS Community". Dr. Luo Lei, a core developer in Ubuntu Kylin and the leader of Kuaipan for Linux project invited to make a special report entitled "How to Join an Open Source OS Project " in training camp for the open source. The report had gained the concerns and recognition of all the participants!